“‘Playing Our Part in the City” is funded under the PEACE IV Programme for the delivery of the Belfast PEACE IV Local Action Plan, under the Children and Young People theme. 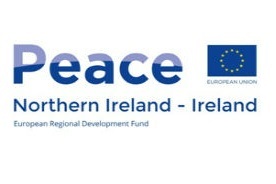 The PEACE IV programme is managed by the Special EU Programmes Body (SEUPB) and is designed to support peace and reconciliation in Northern Ireland and the border region. Traditional methods of play, focusing on communication, social interaction and enjoyment are the main focus of this new initiative to get young people from different communities together. These activities reflect on a more simplistic time, when social media was not a feature and being out in the street is where connections and relationships were made. In addition, traditional games promote the development of wider skills such as teamwork, communication and problem solving as well as functional skills including mathematics and literacy. The programme uses a wide range of methods to engage young people aged 11-13 years old, on a cross community basis, including games, team building, drama and crafts. These activities allow young people to establish relationships and friendships through the most basic and natural forms, asking questions about one another and learning about each other’s lives, backgrounds and cultures. The young people participate in a 16 week programme, reflecting on single identity and dual identity workshops considering issues that arise within communities and breaking down barriers to resolutions. The programme engages a number of parents throughout the programme and brings them together in the hope of tackling perceptions & opinions, and establishing relationships through intergenerational means. The programme will be funded until December 2021 in conjunction with Belfast City Council and partners throughout North, South, East and West Belfast will engage 640 young people.